We highly recommend starting with the 21 day course and then continuing with maintenance. GastroBuf is an all natural, non medicated, supplement with specifically curated ingredients designed to be a long term digestive aid. It is formulated specifically to support the stomach and the hindgut. 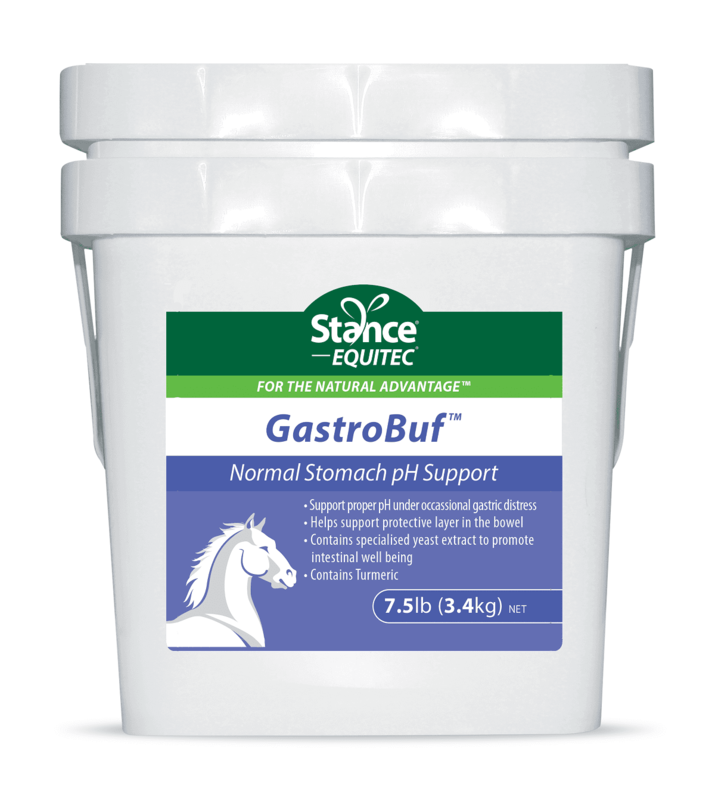 GastroBuf can be used as a long term supplement for stomach and digestive maintenance support. GastroBuf can also be used short term as a 21 days course for times of stress. PowerStance Powdered Coconut Oil: May assist in the absorption of the Curcumin Xanthorrhiza, while the lauric acid may provide anti-microbial, anti-bacterial and anti-fungal properties. Yea Sacc: Yea sacc is a probiotic (live microorganism) that works symbiotically with Actigen (a prebiotic) and helps promote beneficial bacteria and fibre digestion in the hindgut as well as help to stabilise the hindgut PH.